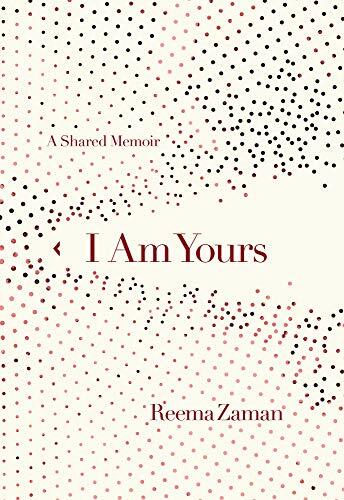 If the word gorgeous has been used too often in too many contexts to have any valid meaning remaining, readers might wish that it had been reserved to describe the prose in Reema Zaman’s memoir, I Am Yours. Zaman, an author, speaker, and actress, begins her story by telling her audience that her book “was written as a love letter and a call to action.” Her journey is arranged in four acts, with chapter titles that set and sustain the tone of poetry throughout: BEGIN, FEEL, LEARN, LISTEN, HEAL, FORGIVE. Zaman tells the reader her age at every step. Many sections begin with “I am” followed by the number of Zaman’s age at that point in her story. This is a choice that makes sense. It is a point of reference and a point of communion for readers who have been many of the ages that Zaman has been. Zaman’s life spans continents. It is international and it is universal. Her hopes and fears speak to the world: the fragility of childhood, the danger of hearing your parents argue, the longing for meaning and purpose and joy in life. Zaman lives in many different locations as a child, including Hawaii and Thailand. She feels the anguish of the poverty she sees and the injustice of a woman’s second-class place in so many societies. Her beloved grandfather writes short stories and reads them to her. She has already, as a child, begun writing. Zaman loves visiting her mother’s family; it is a break for her mother from her father’s moods. But visiting her father’s family is not joyful. Some of her female cousins warn her about another cousin, who has molested family members for years. When she tells her father, he does nothing to protect them and to punish the perpetrator. The message that women must remain silent is imparted early. Zaman’s parents and their contradictions are everpresent in her life. Her father is an economist and lecturer who champions women’s rights with his words, but her mother is not allowed to work. Zaman watches her mother’s light fade and sees her becoming increasingly docile, but her mother does insist that her children will not have arranged marriages. Despite her father’s emotional cruelty to her and to her mother, Zaman understands her father’s wounds from his childhood. It is Zaman’s surpassing compassion that makes the reader feel a modicum of pity for her father when her mother finally breaks free to create a life for herself, even as the reader cheers her mother for at last finding happiness. Indeed, Zaman’s is a journey with twists and turns that would leave Candide breathless. She graduates from college and moves to New York City; readers who have relocated to any metropolis that is new to them, in any decade of their lives, will recognize the joys and challenges of her time in Manhattan. Zaman takes her audience with her as she achieves success as an actress and model, and as she feels the power of running and of controlling her body. And then readers experience with her the agony of anorexia. When she meets someone new, the reader may find herself longing to skip ahead to discover how it turns out, much like fast-forwarding through an addicting Netflix drama to see if a relationship will in the end be nurturing or toxic. I Am Yours is a memoir that encourages all our stories to be told. Zaman’s commitment to making her voice heard, and to helping others find and share their voices, is inspiring: “We know the voice, without intimacy, will atrophy. Therefore, we also know the voice, if given love, even by oneself, will grow.” Zaman’s love letter is, ultimately, a gift. And, indeed, she has. Zaman’s lines of love to her readers are urgent, unhurried, generous, and, yes, uniquely deserving of the appellation gorgeous.